Imagine my surprise when the new Goodfellows CD showed up at my door. Designed to look like a CD sized pizza, Ten Bites arrived in a small, brown pizza box with a lyric sheet enclosed – designed to look like a pizza menu. Best of all, there are some tasty tracks inside – ten seriously catchy pop slices with all the pop toppings you could ever want, delicious melodies and extra jangle. Tomas Forns and bandmate David Cladera take every opportunity to lather on the guitar liberally. This is immediately evident from the opening track, “My Kind of Girlfriend”. The infectious melody of “Good for Me” takes you right into the album’s most engaging song. The lead guitar riff for “She Was” should be familiar to you as it bears more than a passing resemblance to The La’s “There She Goes”. It’s a terrific song at it’s essence, though. I’d be humming along to it regardless. 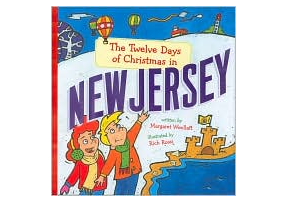 Good use of a familiar element is just icing on the cake – or pie, as it were. “Livin’ In Summertime” and “Just Another Day” are a couple more highlights on an album that doesn’t have a bad track on it. Goodfellows are: Pepo Granero (Bass), Miguel Gibert (Drums, Vocals), Tomas Forms (Guitar), David Cladera (Guitar, Tambourine, Vocals), and Gabriel Palmer (Vocals). 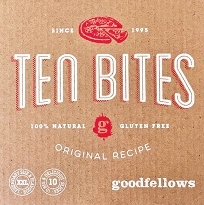 Pick up The Goodfellows’ Ten Bites at Kool Kat Musik. They deliver. And better yet, you won’t have to tip the delivery guy. Powerpop CD Review: Turnback's Are We There Yet?